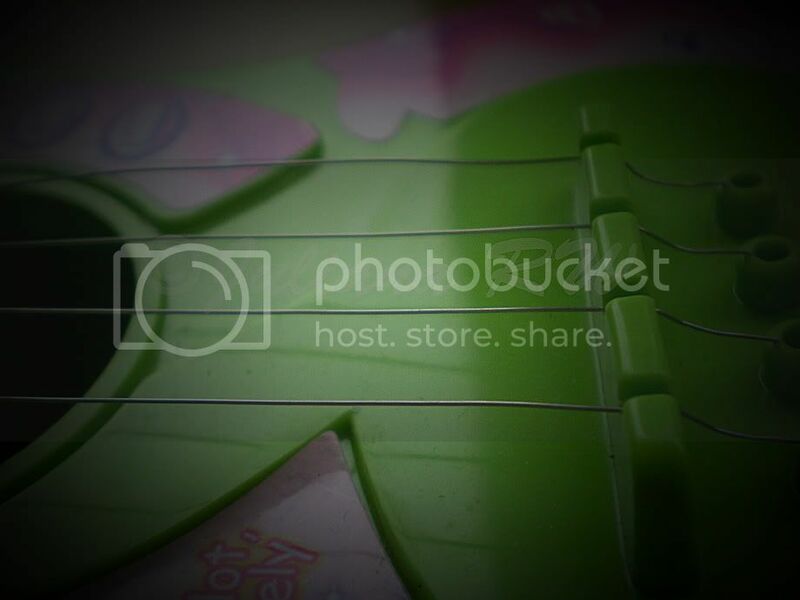 This week theme on Photo Hunter is "String (s)". It takes me time to find the photo. Until this evening while I was playing with Jason, I found one of his toys can be the model for my photo hi hi hi hi. Have a nice weekend everyone. Hope you have a wonderful weekend with your family or friends. Great shots, I love your take on this week's theme. That looks well used. Nice shots. A green guitar! My word. The photos did not load for me Juliana, I waited but just boxes. I hope it is just me. Have a a good weekend. Well finally they did, but it was impossibly slow. I'm sure he enjoys playing with that..
for a moment I thought it was a real guitar and thus was puzzled by the choice of green and pink. lol. That's a very colorful guitar! You have a rock star in the making! nice color of guitar... we have the same take on this theme. That is so pretty, love the colour. Wow - great shots of the guitar! Those are not only appropriate photos... but really really beautiful ones! 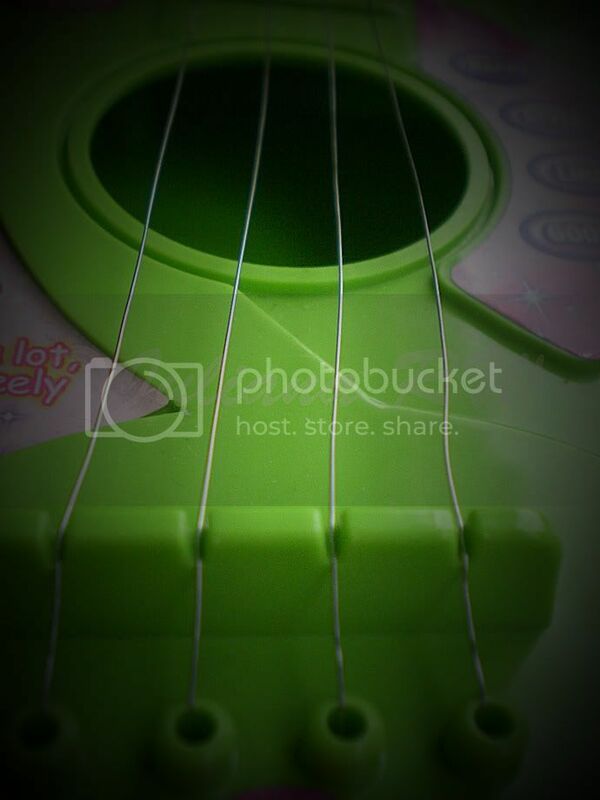 The toy guitar is great and perfect for the theme. Jason will be a star in a rock group someday!!! My strings are strung and strummed...come join me if you can find some time today! Happy Hunting!!! wah did you edit the pic by photoshop? :-) you have learned photoshop a lot! Way to go! I like this - you have a good eye! Stop by when you can! Great shot and cool colors. Great choice, I too used an instrument...come peek! Neat-O! Guess what? I have a toy piano that I am learning how to play. I wish I could learn to play a guitar though. Great macro shots of the guitar strings. Nice choice for The Hunt. I thought it was a challenging theme this week. Nice job. of all the guitar pics i've seen, i like this one alot! reminds me of my childhood when i use to play rockstar! unfortunately, i didn't learn to play on actual guitar... i wish i did!!! Great choice. Have a good weekend. I've seen so many wooden guitars that it's refreshing to see this kids one! Thanks for visiting and happy hunting! Hope you have a Super Sunday! Fun! Great idea and good photos. That's a nice angle. Lovely shot of your son's guitar.